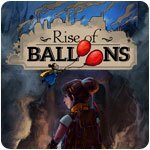 Rise Of Balloons Game - Download and Play Free Version! 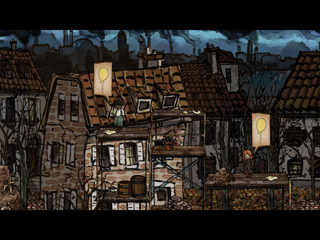 Use special balloons to spread happiness in a gloomy industrial city! 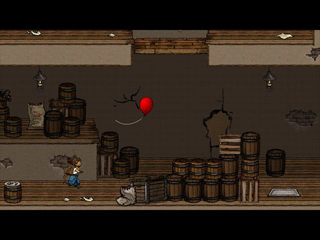 In this adventure game, you have to solve puzzles to spread happiness by giving away balloons! Use your wits, your environment and, of course, your balloons to cross the city's streets, factories and sewers in your grand journey of distributing balloons and smiles to everyone! But how can balloons save a whole city? Well, the balloons that you control are not exactly ordinary. You can use them to destroy the environment, glue stuff together and even fly away! You will need to use all these tricks and more to achieve your goal of bringing back happiness in the city. But beware, for balloons are as fragile as they come, and hazards are plentiful in this hostile city. If your balloons don't fly away, they might burst because of dangerous, spiky machinery. Handle with care!